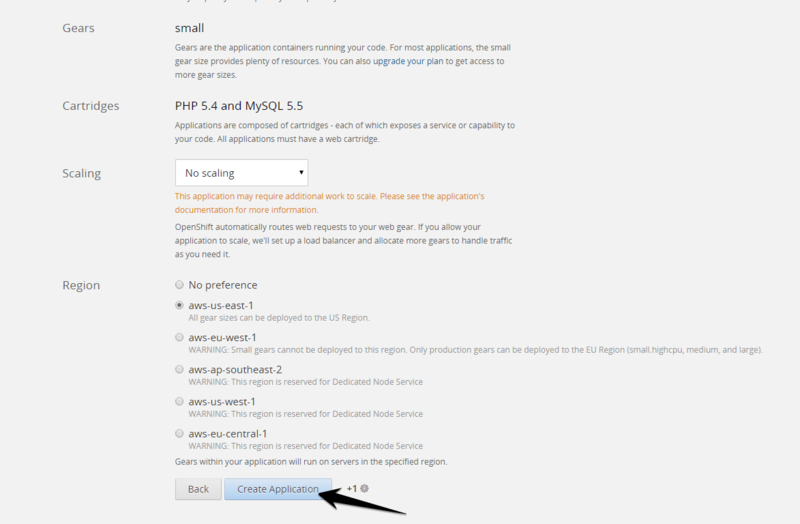 Have you ever tried Openshift to host your WordPress blog? It is free and reliable. If you haven’t heard about it, you come to the right place. I will explain it in brief and guide you through. The web applications include Instant App such as Jenkins Server, Drupal, Ghost, and WordPress; while xPaaS include JBoss Data Virtualization 6, JBoss Enterprise Application Platform, JBoss BPM Suite, JBoss BRMS and other applications such as PHP, Java, Python, Ruby, and so on. OpenShift offers free plans that include free 3 small gears which mean you can host up to 3 applications on your free plan. The downside is that they don’t offer support from Red Hat but the community only. If you are familiar working with command lines and similar applications before, it will be much easier for you. However, if you are a newbie, then the following instructions will guide you. 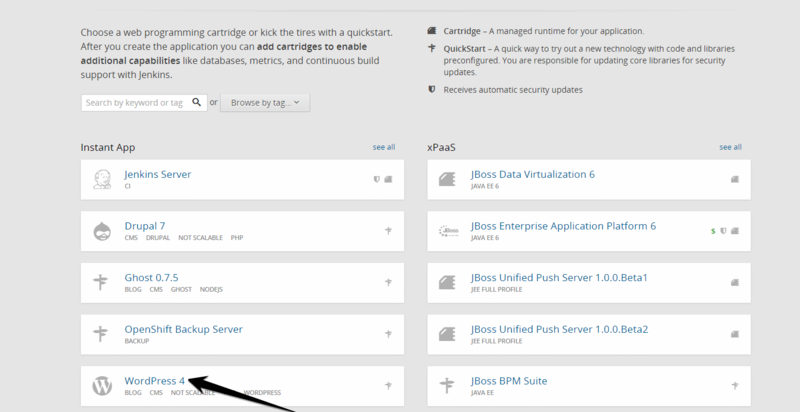 Here is a step by step on how to use Openshift to host your blog or website. 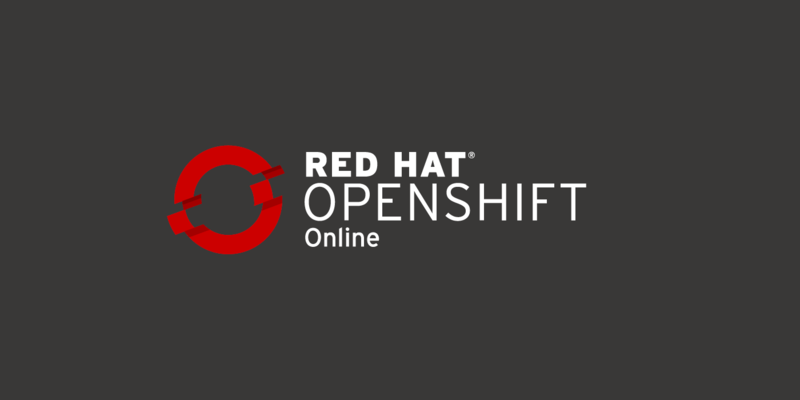 #1 Go to https://www.openshift.com/ to sign up for a new account. Once you sign up with your new account, log in to access the applications. #6. Wait for 10-20 minutes for the process to be completed. #9. Make sure your CNAME of your domain name point to OpenShift. #10. Upgrade to Bronze to get the advantage of custom SSL certificate, choose larger gears and disable application idling. You need to add your credit card information to qualify. Your credit card will not be charged unless you use more resources than they provide in the free tier. Choose 5 minutes for the “TTL”. Now you just have a WordPress blog. To prevent your application idling, you need to have some web traffics every day. You can consider using Uptime Robot which will monitor your website or blog every 5 minutes which will disable Idling. You can also choose bronze plan to remove idling. Now you can use Wordpress to host your resume, portfolio or blog. Enjoy!